The Metrics page helps users understand which Metrics are available for each Data Source. This includes Basic Metrics, Pre-defined Datablocks, Custom Metrics and Calculated Metrics. You can view this information for Data Sources you haven't connected yet. Each Data Source comes with a set of pre-built Basic Metrics that can be used to quickly and efficiently build Databoards and set up Notifications. You can use the Filter by dropdown to toggle between different Data Sources on this page. The total number of Basic Metrics will be listed at the top of the page along with a search bar so you can easily find the Metric you're looking for. We've created a pre-built Datablocks for each Basic Metric based on common use cases. By clicking on the Metric you'll see a definition and all available Date Ranges. With one click you can add that Datablock to a Databoard and start building a new dashboard. Many of our Data Sources have Query Builder available. The Query Builder tool allows you to create Custom Metrics by adding additional filters, dimensions or date ranges to Basic Metrics. For some Data Sources, you can create Metrics from lists, views or events. 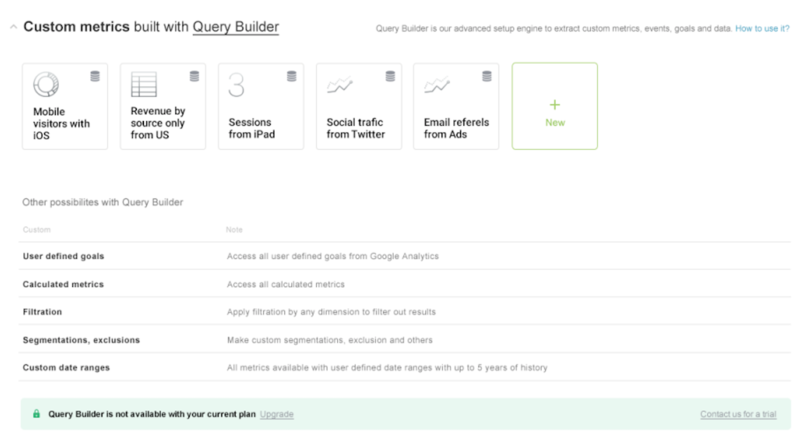 Query Builder is available on the Plus and Agency Basic and above plans. Query Builder works differently for each Data Source. View all help articles for Query Builders here. We've pre-built Custom Metrics based on common use cases. You can also create a new Custom Metrics from this page. The Data Calculations tool allows you to combine multiple Metrics in an equation to create a Calculated Metric. Learn more about Data Calculations here. 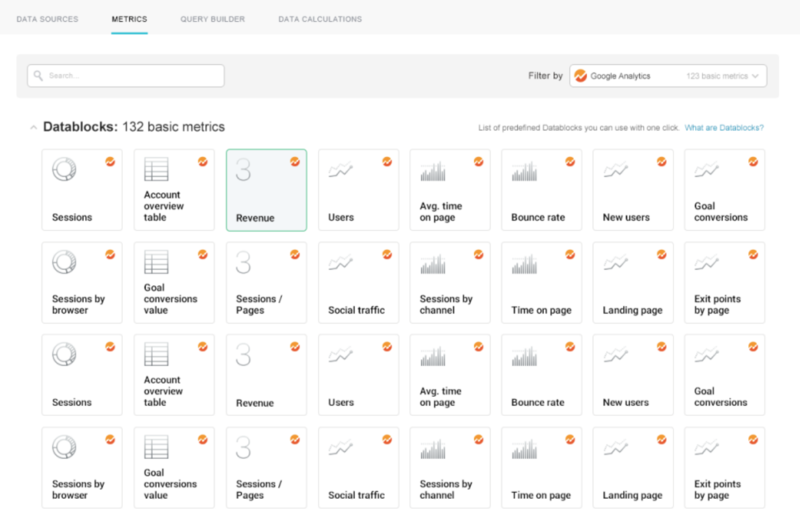 On this screen, you'll find pre-built Calculated Metrics that combine multiple Metrics from the same Data Source. You can create new Calculated Metric from this page as well. It is possible to create Calculated Metrics from multiple Data Sources,. For example, you can add together Followers from Twitter and Facebook to create a new, Calculated Metric for "Total Followers".